New on Utomik: Spellforce! This special Platinum edition features the three Spellforce titles – The Order of Dawn, Shadow of the Phoenix and Breath of Winter. 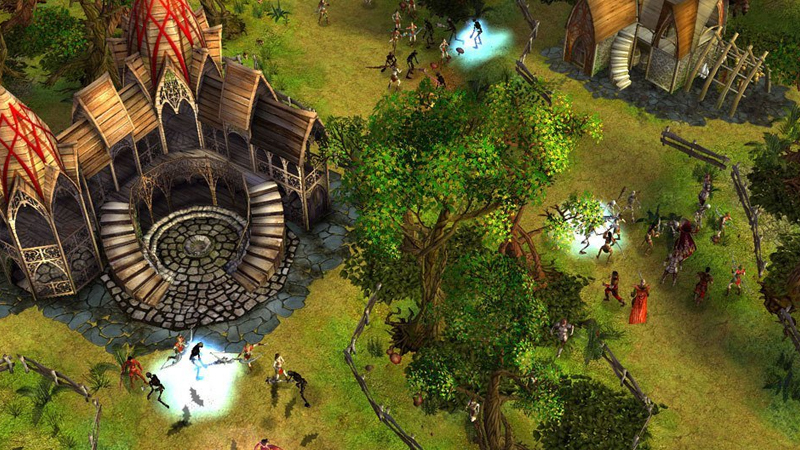 Spellforce is best known as an unique mixture of RPG and large scale strategy game. Indulge yourself in a chaotic and destructed world full of epic adventures, battles and magic. Your courage will decide the destiny of your people. Lead any of the 6 races of humans, elves, dwarves, dark elves, trolls and orcs and play several of them at once. Follow the continuous, gripping storyline or go for one of the many sub-quests. Enjoy endless possibilities with this epic game. Ofcourse, that's not all. We also added Fall of the New Age,Hexus, Crazy Pixel Streaker and League of Mermaids.